If you’re active in the job market, chances are you’ve come across an article or two promoting bulleted resumes as the latest way to get noticed by hiring managers. And, for good reason. Bulleted resumes make skimming easier, and we know recruiters skim read; they help key points stand out instead of getting lost in a block of text; and when done well they’re usually more concise than the traditional, multi-paragraph styles. 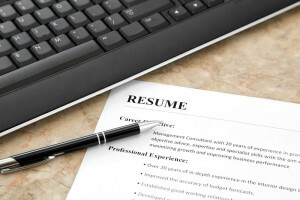 Ready to get in on the trend and try a bulleted resume but not sure where to start? Follow these tips to make the most of bulleted formatting and get noticed by interested employers. If you’re in a field where you’re expected to meet measurable goals, then this aspect of creating a bulleted resume will be easy for you. Share details like what percent of your performance goal you met regularly or the ROI on ideas you implemented or projects you were in charge of. Focus on your best work. If some of your roles have been less goal-focused and centered more around daily or repetitive tasks (think admin and customer-service heavy positions), then it might take a little more finesse to write interesting bullet points. Think about all the challenges you overcame in your position and how you improved your work environment, even if you can’t measure the results with hard numbers. Did you organize an entire department? Create forms that streamlined procedures? Revamp the training program to make it more efficient and effective? Share how you’ve made your mark at every job. Generally speaking, you should aim to share no less than three bullet points per position and no more than five. The easiest way to keep your bulleted resume from getting too long is to remember the goal is to concentrate on achievements, not duties. Each bullet should highlight one of your most impressive job stats or victories. If there are too many to choose from, then force yourself to pick the top five that are also the most relevant to the position you’re applying for and list only those. You can always share additional stats in your interview. One thing not many recruiters talk about is writing in an active voice. Using an active voice is more powerful and helps future employers to see you as the catalyst to generating positive results. And luckily, switching from a passive voice to an active voice is easier than you might think when you follow these simple active writing tricks. Visit our blog to learn how to stand out in the job market, what employers and recruiters are looking for, interview tips, and more. What Does the Employee Marketplace Mean for Job Seekers and Employers? It’s official: we’re living in an employee-driven marketplace. During the recession and until recently, employers had the upper hand. The market was flooded with talented, experienced job seekers eager to get their foot in the door at companies across the nation. You didn’t have to look far for a pool of top-tier candidates. And let’s be honest, lots of companies benefited greatly from that sudden influx of driven, highly qualified applicants. After all, there’s a big difference between selecting the best person for the job when they’re clearly the standout and taking your pick from a group of superstar talent. But those days are over. Now the tables have turned, and the best and brightest employees are a hot commodity. Not only do you have to attract and engage star candidates, but you also have to keep employees engaged or risk losing your best people to a better, more appealing opportunities. Human capital has the potential for the highest ROI of any investment your company makes. In January the Execu|Search Group released their 2017 Hiring Outlook report that puts the new marketplace conditions into perspective. Understanding how employees and candidates view your hiring and onboarding systems as well as what they’re looking for in terms of job experience could be the difference between keeping your most talented employees or losing them to the open market. If you’re an employer who’s actively hiring, you probably already know, or at least have sensed, that the marketplace is changing and these numbers only confirm what you’ve suspected. 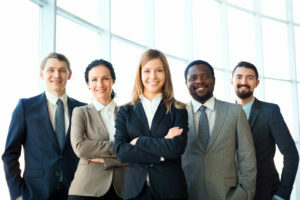 Employers are anxious to secure superstar employees and willing to put energy and effort into keeping their team happy and retaining talent. If you’re not doing the same, then you need to start right away. Making the decision to research what employees are looking for now, or partnering with industry experts like our team at CopperTree, is crucial to engaging and retaining top talent. It’s no longer enough to try a few things here and there. You need to step up your recruiting and onboarding process across the board or risk falling behind. Ready to partner with an expert? Contact CopperTree Staffing to learn how you can streamline your hiring and onboarding processes to attract, engage, and retain the best and brightest candidates.